Capability to move MIDI songs to PC and play with high quality piano software. 1. It has Virtual Resonance Modeling which allows for lucid and richly-varied expressions to reflect the unlimited number of ways that create the sound of a smooth concert grand piano. 2. 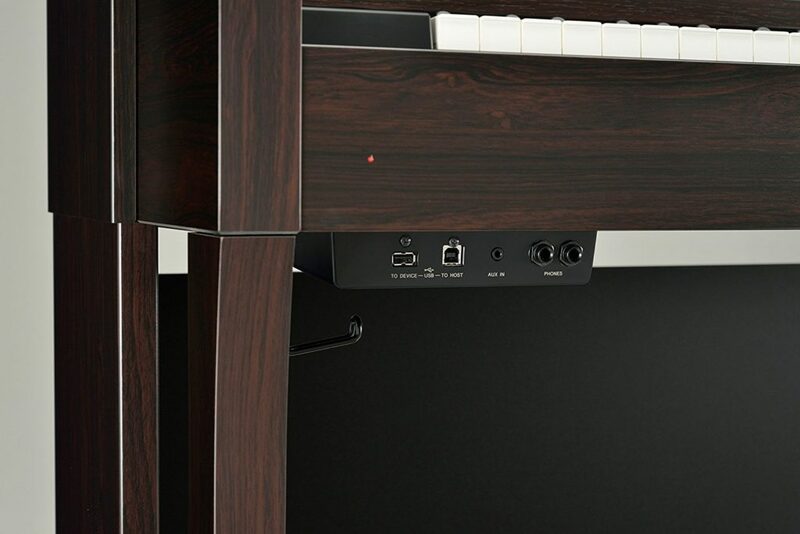 Complete Dot Liquid Crystal Display which allows a smooth navigation action of the piano’s features and functions. 3. Comes with a padded bench, power supply, music stand and sheet music book which really comes in handy. that of a grand piano. It has an extremely clear and crisp sound with good volume as you maneuver the keys. It has a strong and vivid bass. Its action feels realistic, one can think of it as a real piano (It is not too springy). Good and flexible control dynamics (fairly sensitive keys). It has a half pedal capability. It enables the user to use headphones for practicing whenever he feels the need to. 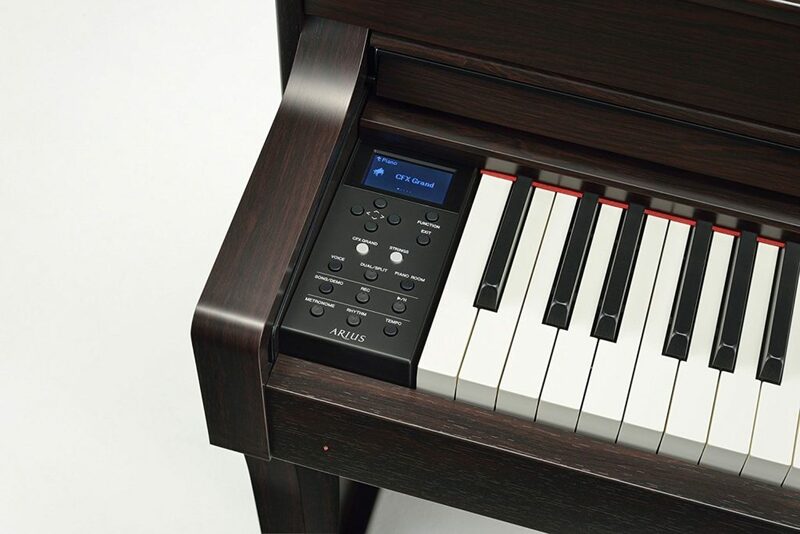 One can easily record and replay on the internal memory of the digital piano. Fifty preloaded songs to listen to before you start playing. It has organ, harpsichord and two kinds of piano sounds. The bench is somehow too narrow which reduces comfort, something I don’t expect from a Yamaha Piano. Music rest is a little bit thin too, makes it a bit gawky to keep an “accordeon” technique sheet music in place (I do that for pieces up to 6 pages). Wish a real screen was integrated like the more expensive Clavinovas. On the top registers, the stroke sound feels a bit electronic, especially with resonance on. There is not sufficient volume on the top registers. Pedals are a bit hard to work with (but it is like a new plane, you get used to it pretty quickly). In case of any destruction, might be really expensive to repair with all the shipping expenses. 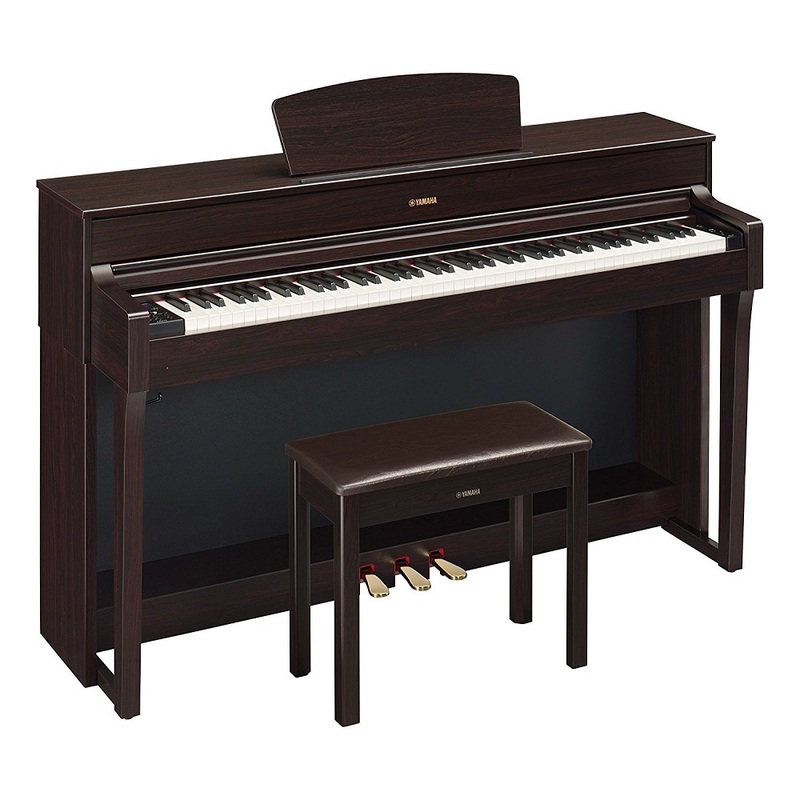 You will definitely not be disappointed if you decide to buy the Yamaha YDP184R Arius Series Console Digital Piano. Its pros outweigh the cons. It is closer that you think to a grand piano. Now all you need to do is prepare yourself really well to make good music. It is really great as an apartment instrument and a very useful practice device. One word for this digital piano: epic.